Must have participated in at least two RMEP Summer Engineering Institute. Must be enrolled or accepted to a four-year accredited college or university. Must select a major in a field of engineering or engineering technology. Consideration will also be given to students pursuing degrees in physical science (Chemistry, Physics, and Biology etc.) or mathematics. One letter of reference from someone that can speak about your academic performance and potential. A work history summary or resume. A short (250 words or less) statement, prepared by you, on how engineering or technology will impact society in the next 25 years. An official transcript from the school or university you are currently attending. After a review of all of the submitted material, the Scholarship Committee will select several finalists and may conduct a personal interview. 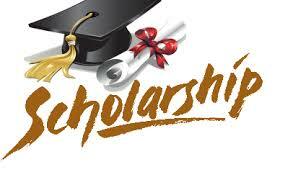 All scholarship applicants will be notified as to the status of their applications no later than July 1st. Current scholarship recipients must submit an application (complete Section I, III and IV) and an official college transcript to be considered for renewal of the scholarship for the upcoming school year. All material must be received at the RMEP P.O. Box by May 1st of the current year for consideration. Must have participated in at least two Summer Engineering Institutes. ​Complete and submit an application with supporting documentation. ​Must be enrolled at a four-year accredited college or university. The Virginia Water Environment Association (VWEA) Scholarship Committee is pleased to announce the roll out of the 2016 Scholarship Program. The American Association of Blacks in Energy is a professional association composed of African Americans in the energy industry. 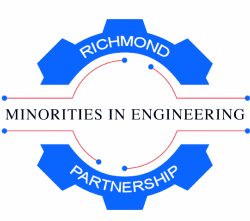 Through its Scholarship Program, the Association seeks to help increase the number of African Americans, Hispanics and Native Americans (underrepresented minorities) in energy related fields. By doing so, we help our nation address a critical need and a challenge to our future economic vitality in the world market. I am pleased to announce that effective December 5, 2016, the Altria College Opportunity Fund Scholarship opened to receive applications from students of 2017 graduating class of Richmond Public High Schools. The online scholarship application can be found at https://www.scholarsapply.org/acof and the submission deadline is February 3, 2017.